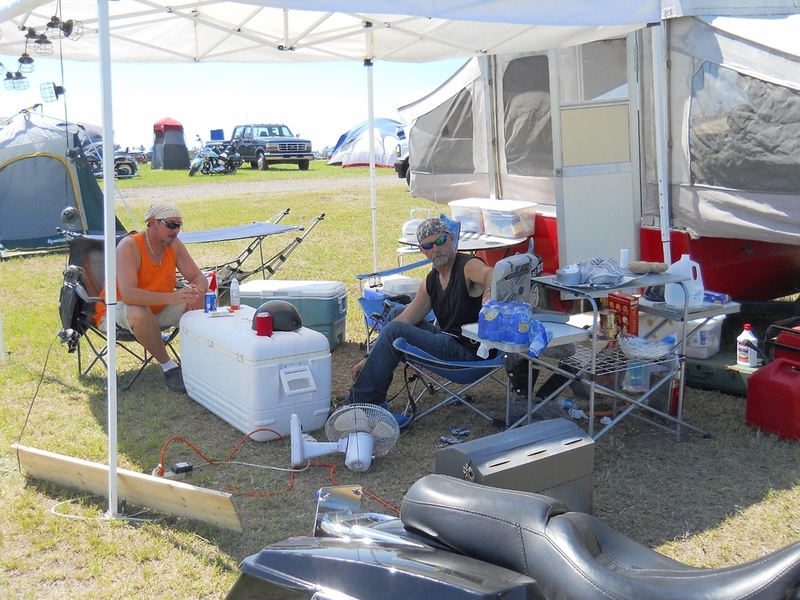 The BBQ Brothers enjoying time at the Smoke Out in Rockingham, NC. 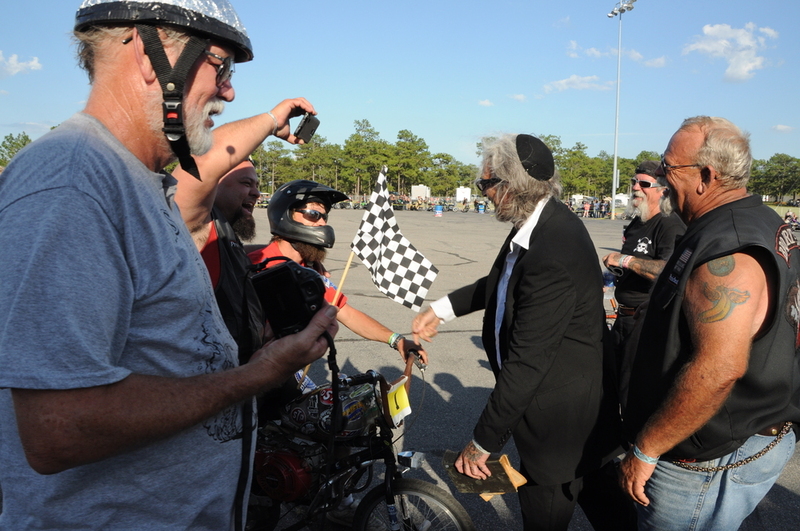 Again this year we took people's choice best in show for the mini bike. 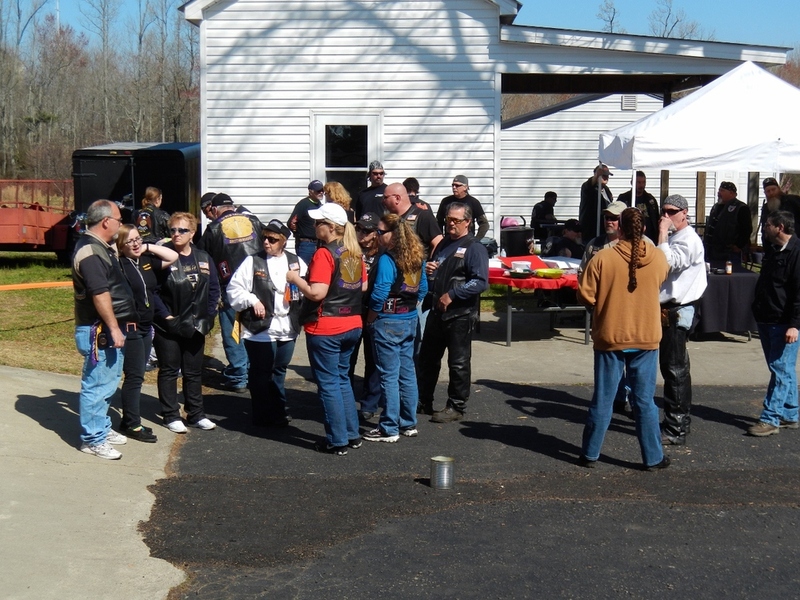 BBQ Brothers would like to thank each one of you that helped make our annual Ride for Kids such a success. Because of you, we were able to donate over $15,000 to the Ride for Kids/Pediatric Brain Tumor Foundation. None of this would be possible without you. Thank you and God bless you. BBQ Brothers would like to thank everyone that helped make our annual fundraiser a great success. BBQ Brothers party to wish Brother Grizz good luck in his new adventures. BBQ Brothers cook for the homeless. Infusion event at the hawg Farm. 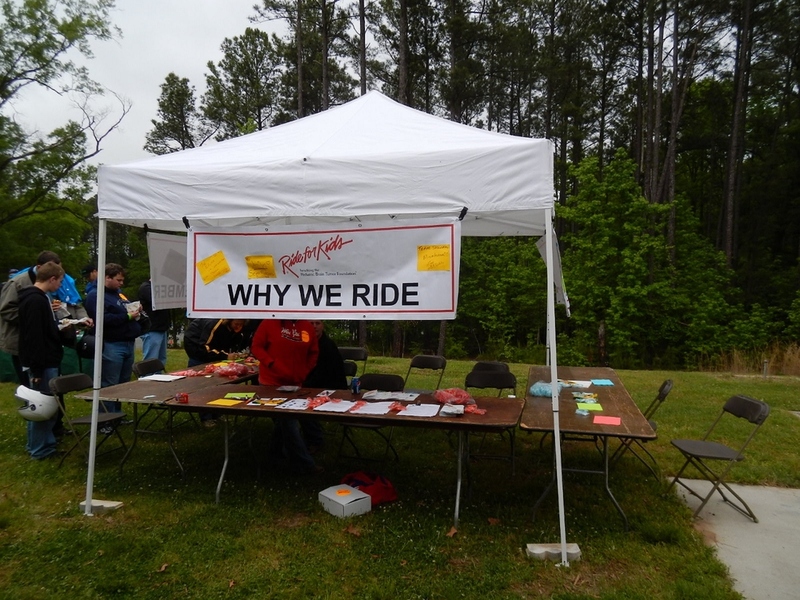 BBQ Brothers were at the Angier Bike Fest organizing the BBQ competition. BBQ Brothers celebrating Alias & Beanie Baby's anniversary and saying best wishes for their travels to New York. BBQ Brothers working it the Ray Price Open House. A little rain ain't gonna keep us away! No polar vortex is going to stop us!!! Good times at the Hawg Farm! 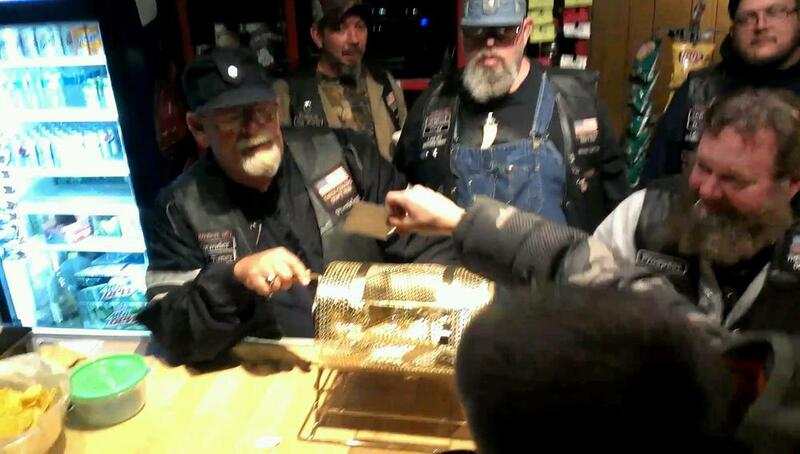 Chickenhawk draws the winning ticket and Ole Timer calls the winner!! Needless to say, Helly was very surprised!!! (Video) Lego leads the BBQ Brothers in a rendition of American Pie. What coule be better than riding the Blue Ridge Parkway with your Brother? The BBQ Brothers head to the Smoke Out. BBQ Brothers RC take first place in BBQ and Best in Show ride - Grizz's bike, of course! !